The emphasis of this development is to keep the artists within the community, and embrace them as a predominant and engaging part of the community. Creativity thrives from within a diverse community of people. Fine arts, photography, videography, epicurean culinary artists, technologists, and many more innovative minds keep the creative juices of all those around them flowing and percolating. And thus, the lifeblood of a fun and exciting “city within a city” like Artistry Village is keeping the art within the village an active and integrated aspect of the community. Living in a community where you have easy, walkable access to some of the most unique entertainment establishments and shops in Denver is the dream of many urban dwellers. Coupled that feature with the ability to interact with a collaborative working space that will include an entertainment stage that will feature performers, live art demonstrations, engaging speakers, and more. Now you have experienced a destination entertainment community like none other in Denver. Who says affordable housing must be located within an austere and uninteresting community or neighborhood? Artistry Village believes that small and unique housing is the foundation of creating an ethos within a community that blossoms into a destination that people from all over Denver will want to experience. This will be an urban experience you will be proud to be part of and call your home. The affordable homes that will be built within Artistry Village will be substantially constructed from shipping containers. As you will see as you explore this website, shipping container homes are an incredibly intriguing and fashionable way to live. The numerous videos within this website will show you successful communities that have built shipping container homes. 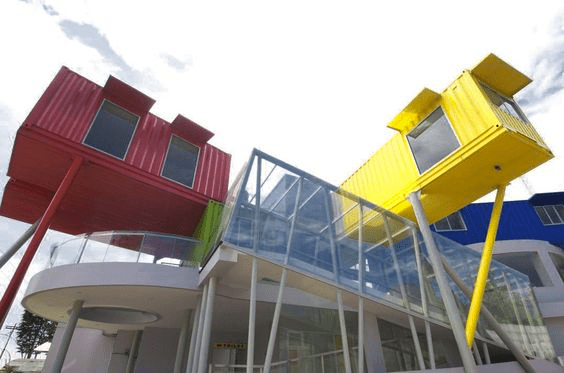 You will see the process of construction and design, and how the strength and durability of shipping containers makes them the perfect construction element that becomes the foundational structure of a durable home. 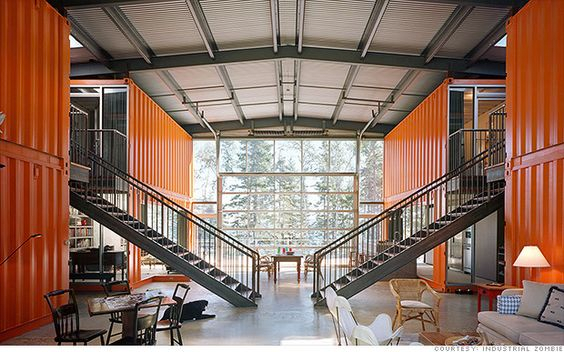 Shipping container homes can be designed to be edgy and hip, or elegant and ostentatious. The smaller and affordable homes built with shipping containers within Artistry Village will utilize every every part of the home’s interior to become a functional part of the house. There will be a strong emphasis on sustainable building, within not only with the homes at Artistry Village, but also the businesses throughout the community. 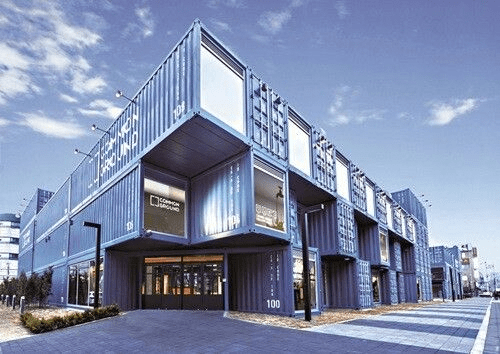 All of the retail, as well as the collaborative working space, will possess a foundational construction aspect that is predominantly built from shipping containers. It is the strong belief of the principals of Artistry Village that it is the spirit of a community that creates a lifestyle that excites the homeowners. Moreover, the activity within the surrounding community will keep the homeowners engaged in a variety of activities that are not available in other neighborhoods in Denver—or any other city. The goal of designing this exciting and unique community is to create a confluence of activity that results in a positive and exciting lifestyle. If one chooses to work within the community then there will be no driving commutes to contend with each day. There will be abundant dining and retail facilities within walking distance from the homes that will not only satisfy, but will exhilarate anyone’s dining, entertainment, and shopping experience. Artistry Village strongly believes that affordable housing can be offered at affordable prices. Moreover, simply living in an affordable home can often be a mundane experience. But living affordably can be transcended into a living experience that is the envy of those who live in much more expensive homes. We believe this is the future of affordable living. There is a way to create a unique and exciting new kind of affordable residential real estate, and we’re about to embark on that task. 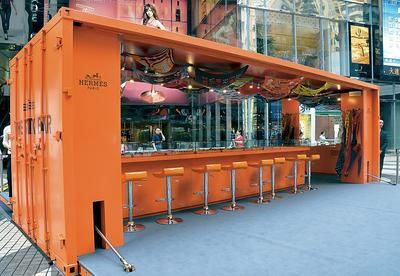 We’re going to build a micro city, built entirely from shipping containers. This type of construction has been done in various parts Europe for many years, and now it is coming to the USA. The buildings and residences are hip and stylish, and we expect the demand to live in this incredibly unique and collaborative community will be explosive. So stay tuned for more information about this new and innovative work, retail, and affordable housing space. We’ve found a way to make affordable housing fun, interactive, and affordable!